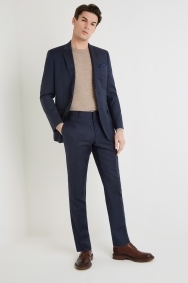 Go for the understated option with this sophisticated suit. 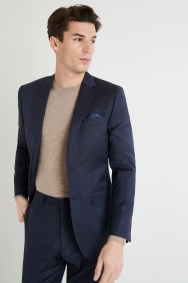 Made from 100% wool, this suit has the quality and durability to see you through multiple occasions. 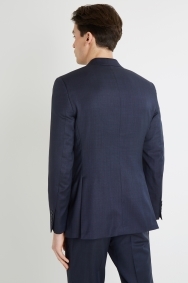 The notch lapel, two-button fastening and flattering tailored cut make it versatile and easy to dress up or down. 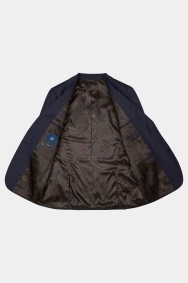 It is fully lined and features a paisley print for added interest. Partner with a patterned shirt or neutral crew knit for a laidback smart look. If it’s for a formal occasion, choose a white shirt, navy silk tie and contrasting pocket square. 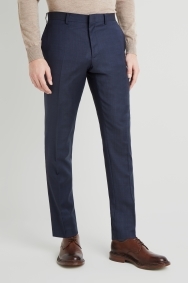 Felt very cheap material (accepting it is quite cheap as suits go). But because of this I opted to return as it did t feel the suit would last very long.